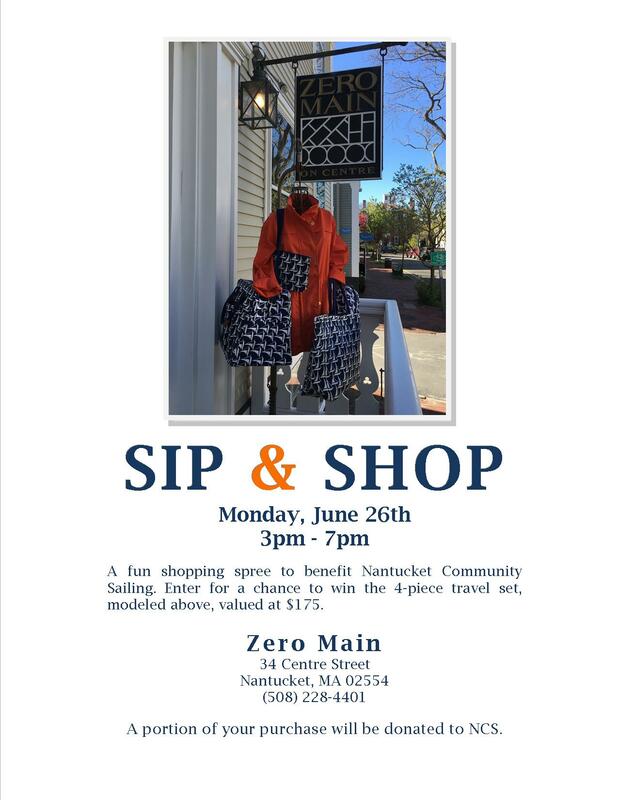 Please mark your calendar for our upcoming Sip & Shop at ZERO Main, 34 Centre Street. Come in and see Noel’s great new summer collections and enter for your chance to win a 4 piece travel set! Pictured below. Your purchase helps supports Nantucket Community Sailing!